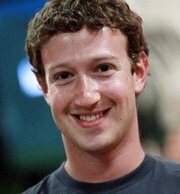 Is there a certain someone whose pictures and status updates you would rather not see? Like, ever? 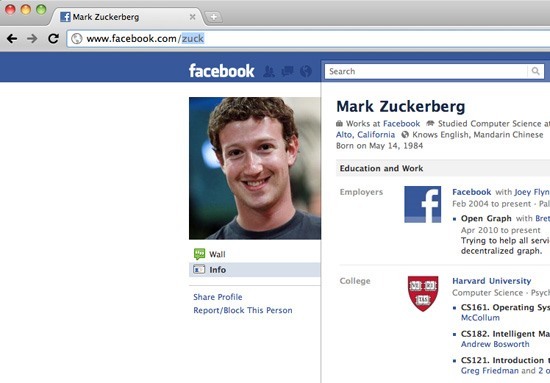 Wish you could hide a person on Facebook without publicly defriending him or her? Your new best friend is a Michel Gondry-inspired Google Chrome extension named Eternal Sunshine. 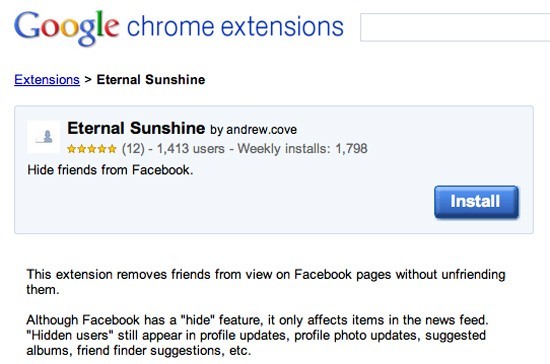 Unlike Facebook's built-in ignore tool, the Eternal Sunshine browser add-on will hide almost everything to do with the person: This includes stream updates, profile updates, profile photo updates, photo-page photo albums, sidebar-suggested photo albums, the chat list, the frequent friends list and the user profile friends list. Want to try Eternal Sunshine for yourself? A full set-up guide follows below. Click here for direct access to the Eternal Sunshine download page. That's it! 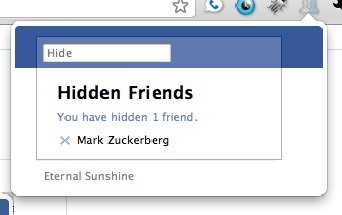 If you've completed the preceding three steps correctly, you now have yourself one very hidden friend. Totally cool man keep it up!! !